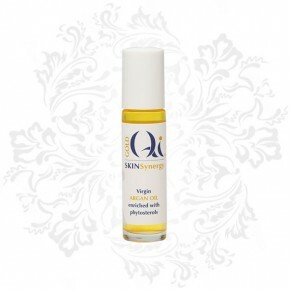 Rejuvenate and restore the balance of tired and ageing skin with the healing properties of argan oil and calendula. Our cleansing bar for mature skin gently cleanses as it hydrates and feeds the skin nutrients. This is also an excellent choice for sensitive skin and skin conditions such as psoriasis, eczema and acne. Mature skin needs to be gently nourished and protected to retain a youthful glow. Argan oil, calendula and rose geranium oil, the active ingredients in our Geranium Scented Facial Cleansing Bar for Mature Skin, were specifically chosen for their ability to start the rejuvenation, repair and hydration process in this first stage of your beauty regimen. Argan oil renews essential moisture levels in ageing skin and its fatty acids help to retain this moisture, keeping the skin supple and soft. Its rich content of vitamin A regenerates and repairs cells and maintains skin elasticity. The exceptionally high content of vitamin E in Argan oil acts as an antioxidant, providing protection from free radicals. Argan oil is also the only oil to contain the sterols, spinasterol and shottenol, which have potent anti-inflammatory properties. This makes our Geranium Scented Facial Cleansing Bar for Mature Skin an excellent soap to use on, sensitive and problem skin as it has a soothing and healing effect on conditions such as eczema, psoriasis and dry, irritated skin. Calendula, also known as marigold has healing antibacterial and anti-inflammatory properties that prevent thinning of the skin and premature ageing. Its cleansing and antiseptic abilities heal wounds and soothe inflamed and irritated skin. Marigold contains high amounts of antioxidant flavonoids that prevent cell damage from free radicals. The fresh, subtle fragrance of rose geranium soothes and uplifts, leaving you and your skin feeling balanced. Rose geranium’s powerful astringent properties help to tighten the skin and pores. As it also improves blood circulation, it helps to even out your skin tone and its capacity to heal and regenerate cells reduces spots and scars.